Forest Garden Multi-purpose Storage Box 320L: The Multi-purpose Storage Box by Forest Garden features a generous 320 litre capacity making this storage unit ideal for conservatories, patios or garages. 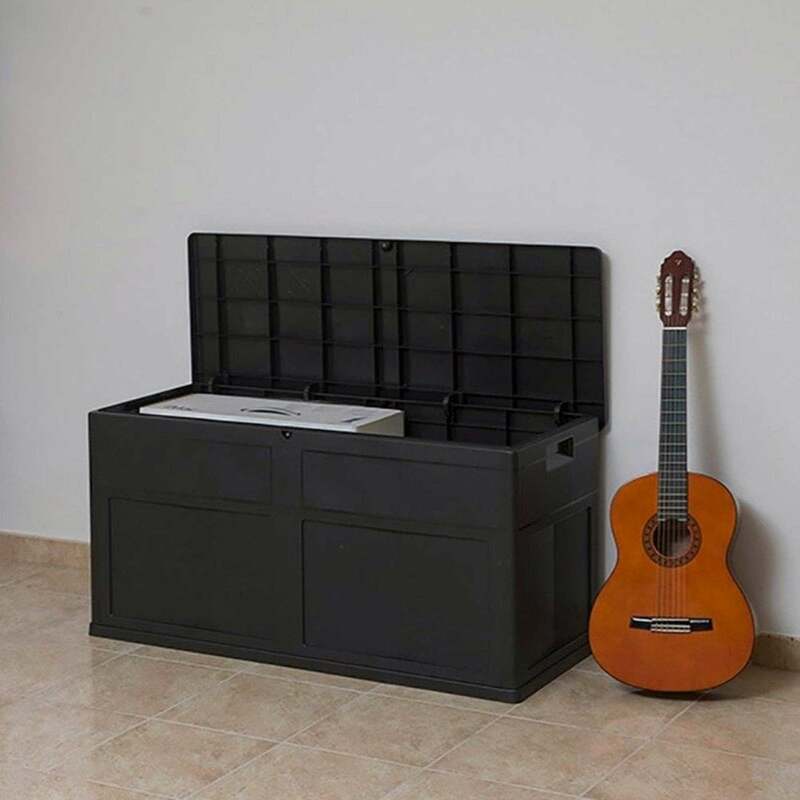 The Forest Garden Storage Box comes in this contemporary black unit, with a lightweight design and is easy to move around with convenient handle recesses. The Multi-purpose Box is made from recyclable polypropylene for a weathertight and sturdy design and is perfect for tidying away garden furniture cushions, toys or tools. The Forest Garden Box arrives flat packed and is quick and easy to assembly by one person.